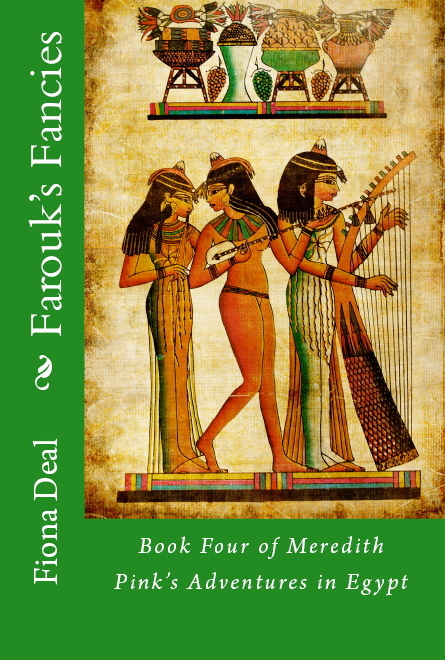 I’ve been asked recently if I live in Egypt as that’s where my fictional series following Meredith Pink’s Adventures is set. I don’t. But I’ve been a frequent visitor over the years. I feel a strong sense of belonging, which is perhaps the next best thing to calling somewhere ‘home’. My most recent trip was in July 2014, staying at the lovely Jolie Ville hotel, on its own island just outside Luxor. 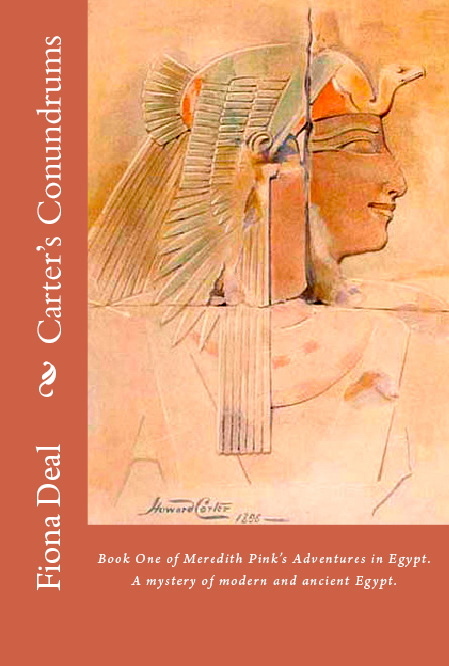 This was my third trip to the Jolie Ville, which features as a location in the first three books in the series: Carter’s Conundrums, Tutankhamun’s Triumph and Hatshepsut’s Hideaway. I also stayed there in 2011 (a few weeks after the Revolution) and 2009. Tourism has been hit hard by the political upheaval of recent years. In July 2014, I was one of only 24 guests at the hotel, which caters for something like 1,600. Great for private use of the pool, but not for the staff who work so diligently to give guests a memorable stay. It’s tragic to see it like this, and I urge visitors to return. I’ve always felt completely safe. It’s fair to say in the last decade, I’ve been to Egypt almost every year; sometimes cruising the Nile, sometimes touring, and sometimes staying in either Luxor or Cairo. To my way of looking at it, Egypt has everything: guaranteed sunshine and warmth, friendly people, great food and fascinating places to visit. 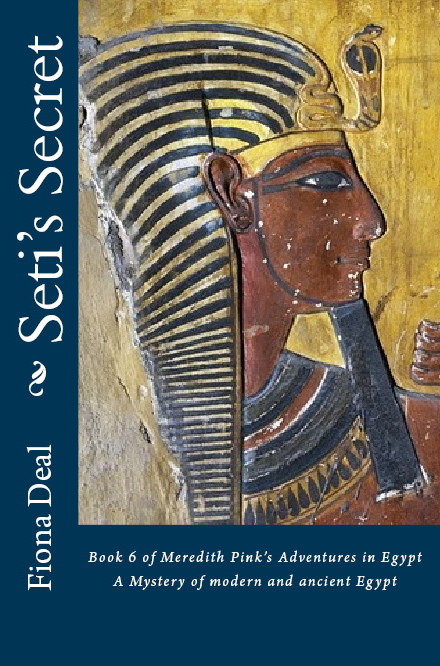 If you’re interested in ancient history or archaeology, so much the better. Egypt is a place to capture the imagination and the heart. I was hooked from my very first trip back in the mid-eighties when my parents took my brother and me for a half-term break one October. 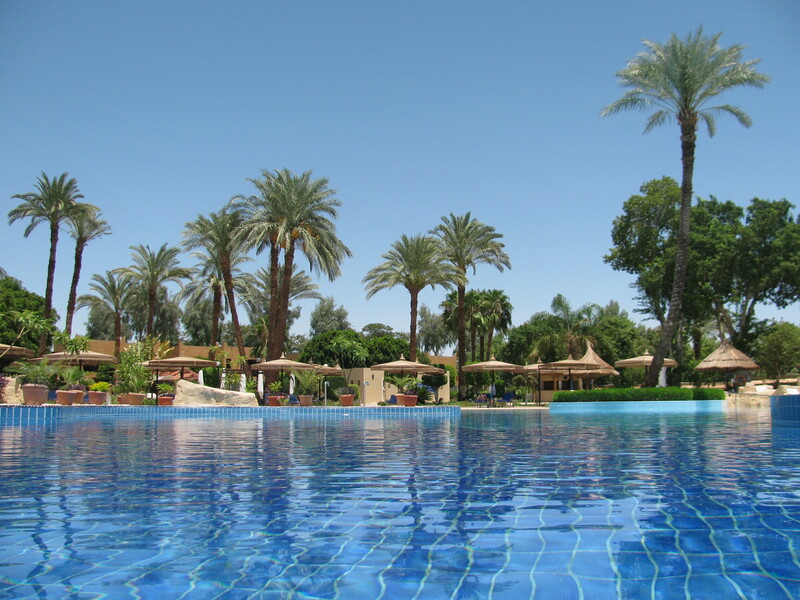 We split our time between Cairo and Luxor and I remember I came home with my head spinning. 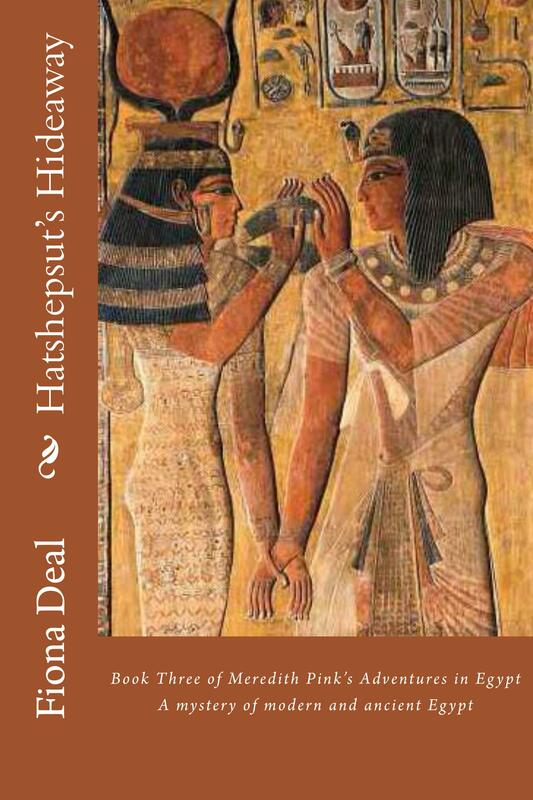 Now I write adventure/mystery stories based in Egypt. So even when I’m unable to be there for real, I can travel there inside my head. I hope the books enable my readers to experience the land I love so much too. 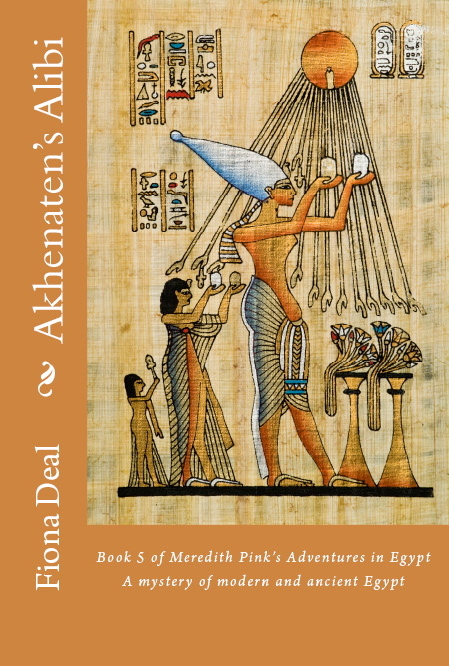 Author of Meredith Pink’s Adventures in Egypt – ancient mysteries wrapped up in modern adventures. Posted on January 7, 2015 by Fiona Deal. 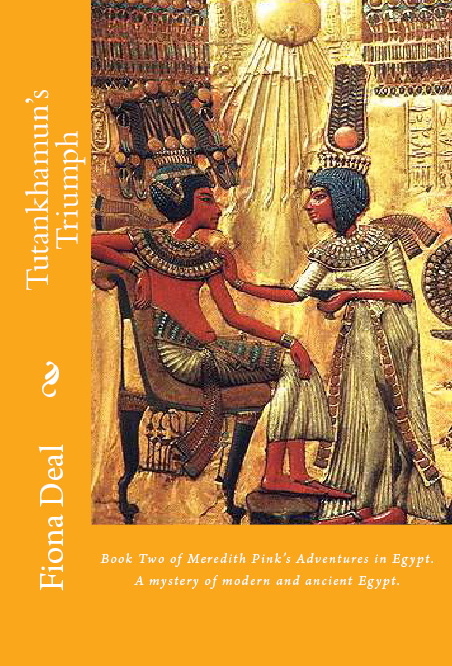 This entry was posted in ancient Egypt, Egypt, egyptian fiction, fiction, History, holiday, Travel, Uncategorized, writing and tagged egypt, Jolie Ville hotel, Luxor, Meredith Pink. Bookmark the permalink. ← What lies beneath …?